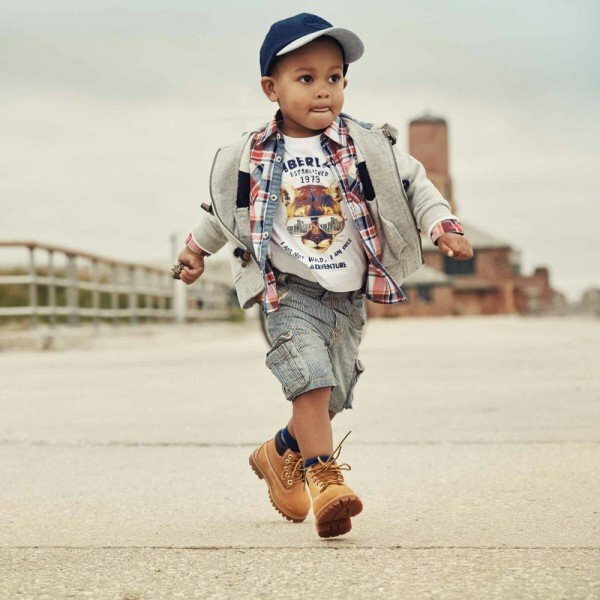 Love this baby boys outfit by Timberland Kids for Fall Winter 2017-18. 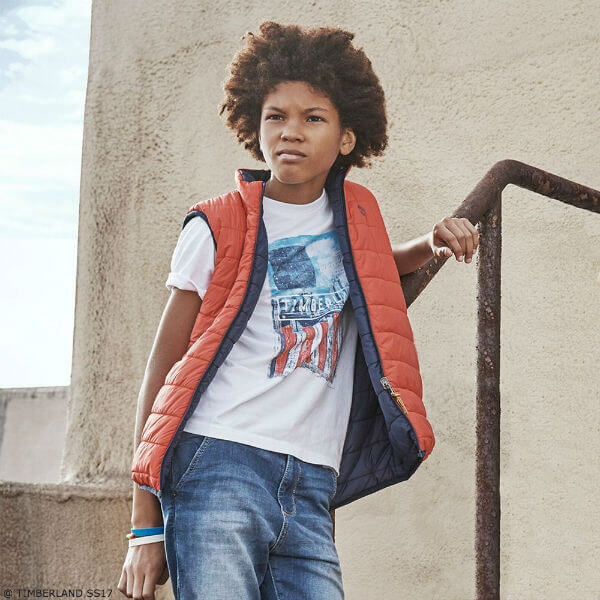 Perfect for cool weather, this hooded, padded cardigan by Timberland is knitted in a soft cotton, and is thickly lined with cosy synthetic fur for added warmth. 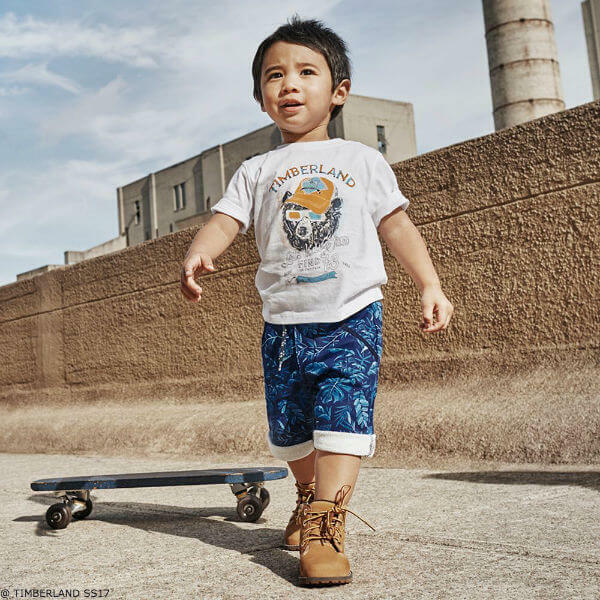 Complete the look with an orange Timerland Bear print t-shirt, comfy jeans and Timberland Baby Boots.